A healthy pet is a happy pet with Platinum Pets' veterinarian recommended Dog and Cat Diner Feeders. Raising your pet's food eases strain to their back, neck, spine and hips, aides the digestive system and promotes esophageal health. Diner Feeder stand is made from hand-forged wrought iron, powdercoated to protect against rust and features rubber base to prevent movement during dining and protect floors. 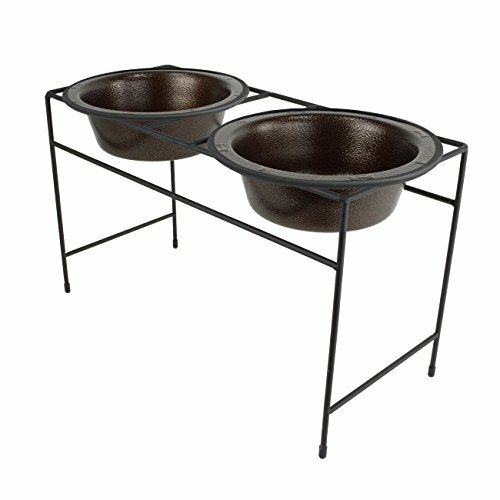 Platinum Pets, the #1 selling powder coated dog & cat bowls. View More In Basic Bowls.